Sage Purifying Bath Essence awakens the senses and cleanses the skin, helping to diminish the appearance of redness, blemishes and breakouts. Especially beneficial as a refreshing footbath to soothe tired, overworked feet. Formulation: Sage essential oil has warming, calming qualities and is helpful to oily, blemished skin. Jojoba oil leaves skin soft and moisturized. Sulfated castor oil enables bath essence to disperse easily in water. Sage is an astringent, so better for facial steaming and tightening pores. No sharp sagey strong odour but a peppy, energising one. Will use this more in warm weathered. This product is refreshing and cleanses the pores like no other natural bath essence. Add 1–3 capfuls of the bath essence into the stream of running water as the bathtub fills. For a footbath, add 1–2 capfuls to a large bowl. For a purifying facial rinse after cleansing, add a few drops to a basin of warm water. Bring the stimulating scent of sage essential oil to any room by adding a few drops to a bowl of warm water. During warmer months, Lemon Lemongrass Vitalizing Body and Bath Care products complement the sage scent. In the winter, pair Sage Purifying Bath Essence with Moor Lavender Calming Body Oil. Follow a sage foot bath with Deodorizing Foot Cream, Revitalizing Leg & Arm Tonic and Silk Body Powder. 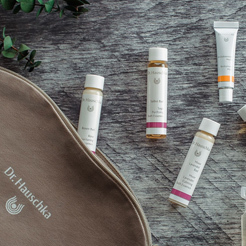 To care for blemished skin, we recommend our complementary face care products.